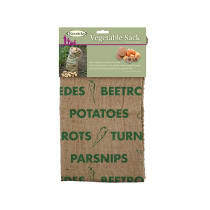 These natural garden sacks sacks are made from 100% biodegradable vegetable fibres and dyes making them an eco-friendly option for gardeners. Jute (hessian or burlap) is one of the strongest natural vegetable fibres available, and is a great natural alternative to synthetic oil-based fabrics. The Jute vegetable sacks are strong and breathable, and look good too. 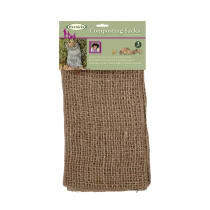 The jute composting sacks are strong and biodegradable with a loose weave for effective composting.